We are blessed to work with Seminarians from the Mount Saint Mary's in Emmitsburg. 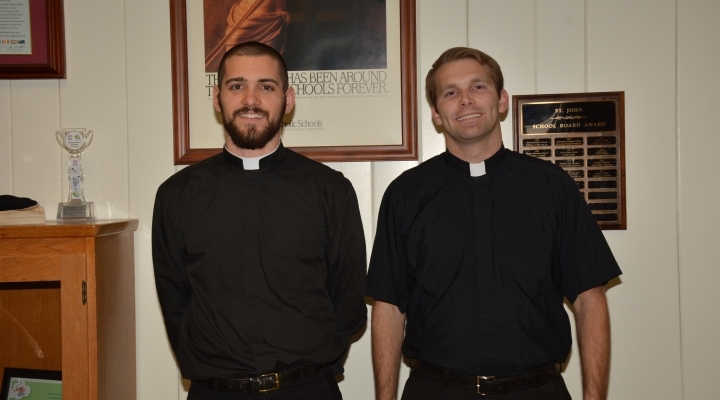 Our seminarians, Michael Buoino and Robert Froeschl, are assigned to our school and visit weekly. They engage with our students from Preschool through Grade 8. They add value and insight as they interact throughout the day with our students, in the classrooms and at recess. It's wonderful to observe our children as they learn from young seminarians as they follow on their path to Christ.